The DQE innovative decontamination shower range is designed for flexibility, giving responders the ability to scale efforts to the appropriate levels. The DQE decontamination shower system is the industry’s leading stand-alone solution offering quick set-up, victim privacy, thorough decontamination, and easy storage. Responder Decon Showers are made specifically for the needs of emergency responders and HazMat team members. Ease of use, portability, rugged design, and complete water coverage are all top priorities. 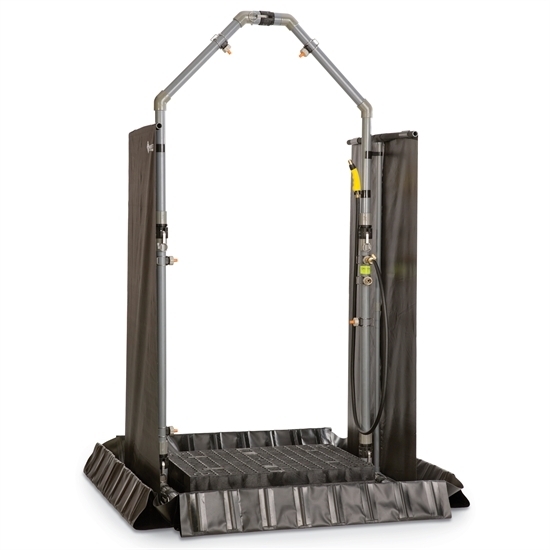 The DQE Indestructo Decontamination Shower is built to withstand any condition it is placed in. 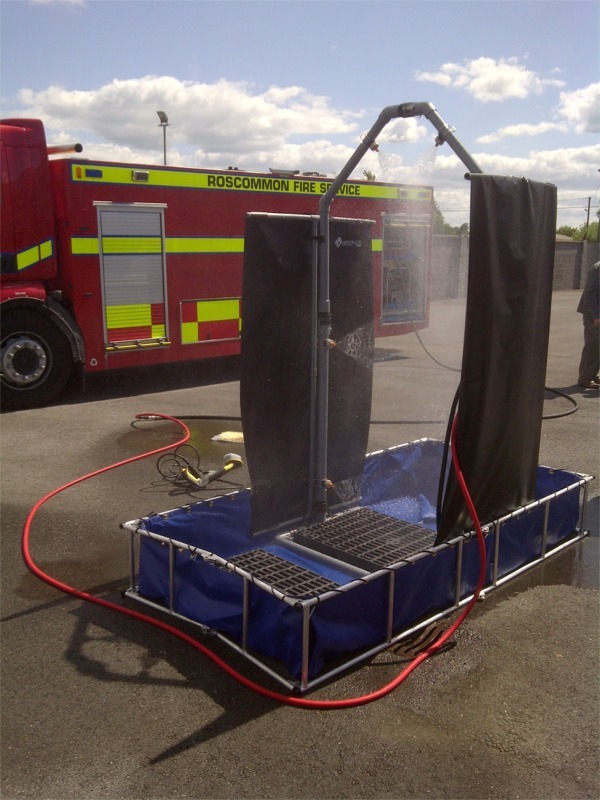 This shower will prove to be a valuable piece of deconcontamination equipment for your emergency responder team. With windscreens to reduce overspray, and quick connects for easy set-up and take-down, the Indestructo Decontamination Shower is the most dependable hazmat shower available to remove contaminants. The Quick Response Shower System is extremely portable and provides responders with a unique and simple set-up system. Other responder decontamination products include the Standard Decon Shower, Decon-In-A-Bag, and Decon Wand. These decontamination products are essential to any emergency response team. Contact Liam at 021-463-8727 or Email: liam@finerfilters.com for more information.